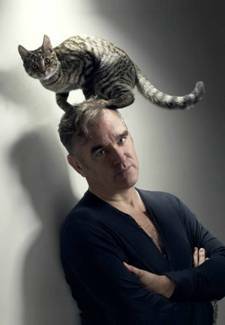 Morrissey is using all his wiles on me. Grizzly Bear doesn't make a lot of money. But they do play Radio City. Remember, Looming rehearsal studios. We're going there to actually rehearse. Soon. Very soon. A CD booklet is 4.75 x 4.75". Or thereabouts. It's about a thousand dollars to make a thousand CD's. Or it's a little bit less to make 500 CD's. Honestly, where do you want to keep 800 or so CD's for years on end? Because you'll have to figure that out if you get a thousand CD's. Chicago Mastering Services is $90/hour for unsupervised. Through Oasis CD Frankford Wayne is only $600 for the whole project. But our favorite mastering house is West Westside Music at an estimated $625 for a CD.